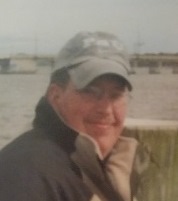 My loving husband Cliff (Cliffy) Colbert is 46 and has been suffering from cardiomyopathy for 11 years. His doctors at the University of Pennsylvania Hospital have told us that a life-saving heart transplant is his only option. 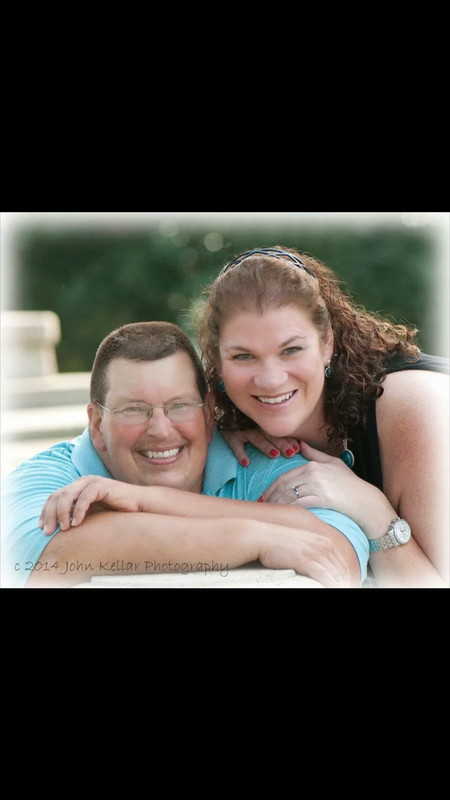 As a bridge to the transplant, Cliffy had open heart surgery to have a LVAD (Left Ventricle Assist Device) implanted. Cliffy grew up in Eagleville, PA, graduated from Methacton High School and graduated from Penn State with a degree in Landscape Contracting. With God’s grace, Cliffy’s determination and his wonderfully talented medical team, he has been able to survive this long. We were married this past June and soon after we were given the news that he must receive this transplant. We are looking forward to the day where he can return to a normal life, go back to work and finally take that December honeymoon that we had planned. As you can imagine, a transplant is extremely expensive. Even with insurance there are many expenses that must be paid out of pocket. Some of these are co-pays, deductibles, lab fees, travel to and from the transplant center and Cliffy will be on a life-time of anti-rejection medications. Beginning in January, we will also be paying fully for Cliff’s insurance. This is a challenge we cannot meet alone and need your help. A fundraising campaign in Cliff’s honor has been established with HelpHOPELive, a trusted nonprofit organization that has been providing community-based fundraising guidance to patients and their families for more than 30 years. All donations are tax deductible, are held by HelpHOPELive in the Mid-Atlantic Heart Transplant Fund, and are administered by HelpHOPELive for transplant-related expenses only. Please consider an end of year tax deductible contribution. Just click on the Donate Now button on this page to make a donation. On behalf of Cliff, myself and our families, thank you for your kindness, generosity, support and prayers. Keep an eye on Cliff’s campaign page at because we will be planning some fundraising events soon and posting updates regularly. Today July 13,2016 Cliff had another stroke incident which had impaired his vision and his speech. He woke up and said his vision was really weird (double/triple vision), I noticed his speech was slurred too. I immediately called the VAD team and we were instructed to head to the nearest ED. After many hours there he was transported to Philadelphia. They have run many tests and we wait. He has a patch over his one eye and that seems to help him focus. Recently Cliff and I took a lovely trip to Maine. After a beautiful and long day of sightseeing thru that evening while sleeping, his Defibrillator fired. We called his medical emergency team and they treated him with extra potassium, told to drink OJ and rest. He felt well enough to continue on with our trip. After getting to our next stop, his breathing became labored and I became more concerned, but he kept pushing himself and said he just needed to take his diuretics. He finally agreed to have me call the medical team when he said his vision was impaired and he had a headache. Well we headed to the nearest ED; The medical staff there were not familiar with the Left Ventricular Assist Device (LVAD), so they arraigned for him to be transported to Philadelphia by LifeFlight from Bangor, Maine. 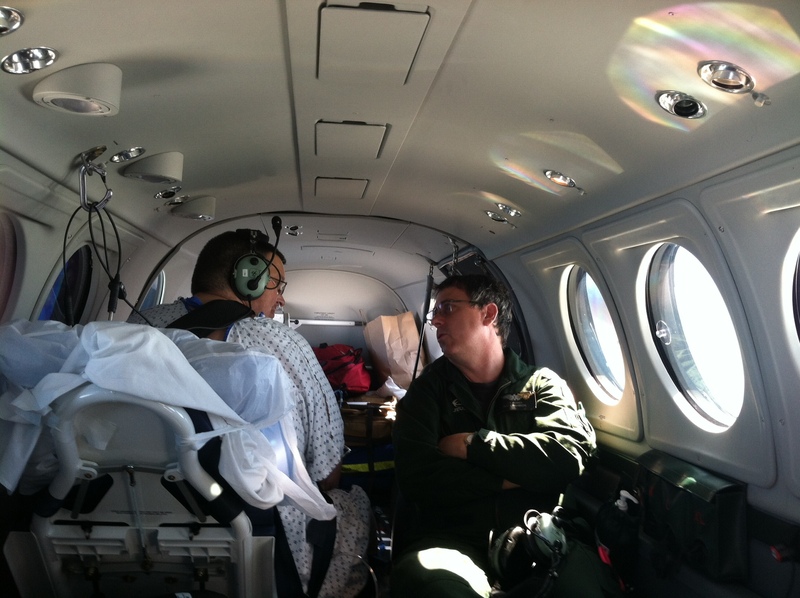 *See picture that was taken by his Flight Nurse. They were fantastic! While still in Maine, he had a CT scan which was compared to the ones that were taken in Philadelphia. They confirmed he had suffered a stroke on the left side back of the brain. Once back in Philadelphia at HUP and after being in CCU for a couple days; thankfully his vision has improved. We will follow-up with a Neuro-Ophthalmologist. They also found an infection near his driveline. This is the area where the tube goes in his belly and is connected to the heart pump device, called HeartWare (Also called an LVAD). They are treating this issue as well and will put a piccline in to administer a steady flow of antibiotics. We will follow-up with infectious disease specialists when we meet with the VAD team for our monthly clinic. Although this is a difficult time for us we are thankful that we are back at HUP for his treatment. So with all this being said, please continue to lift him/us up in prayer. Just wanted to stop by and give you all an update; I know it has been a while. Cliff graduated from Cardiac Rehabilitation. Very proud of him! We are still waiting for his disabity; after being promised his payments would start in March, and we are approaching June. We are thankful for the many people who have been so supportive. Recently we, had to move out of our apartment, due to finances. But we are thankful we were able to pay our bills, but our saving is nearly cleaned out. We moved in with my parents. So thankful for the many friends and family who came out to help us get this done. Cliff unfortunately wasn’t feeling well enough to do much. He has been feeling a little off. The VAD team at HUP requested that we get to the ED on Sunday. He was admitted, due to them finding he had a high white cell count, which increased on Monday when it was checked again. His count is 25. They also found that he has pneumonia, but they are also running other tests to make sure there isn’t any other issues. Cliff will be in the hospital for a couple of days to a week. He was also put on Oxygen to help him breath better. So we wait to see what the test results say. Please keep him in prayer. Thank you! Yesterday (Friday) Cliff and I headed down to HUP for his follow up with the VAD/Stem Cell Study Team. He had what they call a VAD turndown, which is SOP. He did well with the tests, which consists of a stress test, bloodwork, and an Ecocardiogram. They were happy with his results. We left without any events. Although, before bed Cliff’s Defibrillator kicked off and we had to call the VAD Team to ask what we should do. They noticed in his bloodwork that his potassium was low and he was dehydrated. Potassium helps the muscles, the heart is a muscle. 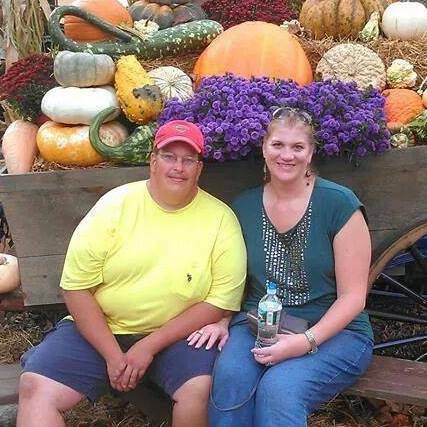 His body recognized an issue, his Defibrillator responded just how it is suppose to. WE ARE THANKFUL! We were told to administer more potassium, drink OJ. The rest if the evening was uneventful. The VAD Team followed up this morning and were happy there was no more issues. We will meet with them again on Wed. Which is his regular schedule appointment. Today we celebrated my birthday, we went to Lancaster, PA and to Shady Maple (On your Birthday your meal is free). Lancaster was so beautiful with snow coverd hills and farms. I love spending time with my love and taking a drive on country roads, especially ones filled with Amish buggies. Best day we have had in a long while. Thank you Cliff Colbert, I love you! Cliff received clearance and has started his cardiac rehabilitation. Yesterday 1/20/16 was his first day. He is so good at figuring out innovative ways of how to keep his device with him, while being hands free. Thankful for our friend Tom, who gave Cliff a shooter’s vest. Cliff is able to place the controller and his batteries in the pockets at the small of his back. He was wearing the vest, while he did a 6 minute walk on the treadmill. Baby steps for now, but it was his 1st day. They have to monitor him and do an intake session, etc. Cliff will do rehabilitation weekly for now. In Dec we were thinking of having him use the gym where we live, but we both felt it wasn’t a good option now. Only because he would be there alone. I asked him to promise me he would only go when the office was open, and check in with them so they can check on him within 20 minutes. That opportunity never came. I am glad because he had been in Afib and over doing it would have been an issue. God is good! Happy New Year! We hope you all had a blessed Christmas/holiday season. We were cleared to take a road trip to visit Cliff’s side of the family for Christmas. We had a fantastic time visiting them and it was great to see them all. This was the first time we had seen them since our Jun wedding. New Years Eve our friend’s blessed us with a night out to a B&B. What a beautiful place and much needed R&R. New Years Day, was spent with my side of the family. Cliff’s last appointment for 2015 was 12/30, they found his heart was in Afib. This means a Cardiovertion is needed. We have one scheduled for this coming Wednesday (Time TBD). This seems to be a regular occurrence for Cliff, we are thankful the medical team doesn’t mess around and they jump on things like this quickly. No hospital stay is needed, he will be treated as an outpatient. I was offered to stay at my seasonal PT retail job and I also started a 2nd PT job as an administrative assistant to a Pastor. I now work 30 hours a week. So thankful for the blessing of working again. Keep us in prayer and we will update once we hear more after Wed.
We are thankful for you generous donations and for your support. We have been blessed by so many reaching out to us in the time of need. I am one to always look on the bright side of things and I know my posts come across as everything is fine and many think due to Cliff’s improving health that the struggle and the road ahead is clear, but this is going to be a long road ahead. 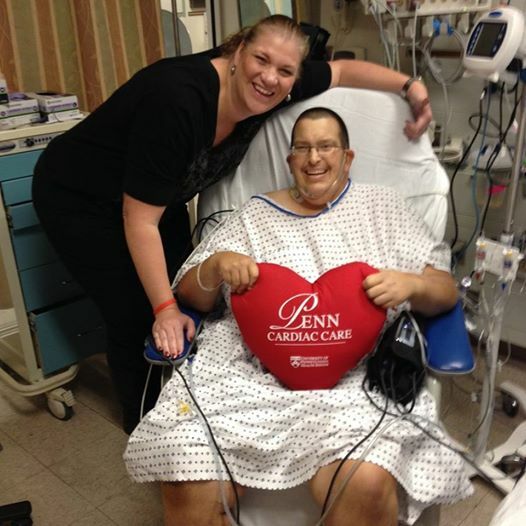 The LVAD was implanted as a bridge to his much needed heart transplant. We are working on his weight loss to qualify for the transplant listing. Here is a little about me, I have been working temp positions up until Sept 30th (Just about the time we learned of Cliff needing the LVAD). God is good and has given me this time to spend with my husband as he needed 24/7 care. We had weekly appointments in Philadelphia at $30 co-pays, parking was between $10 – $15 each week. Often times we had to get a new script filled, due to a change in his medications. We were blessed to have a supportive boss, who covered Cliff’s insurance until the end of 2015. Thank you Petroll Landscaping! As for me, I have continued my studies at Immaculata University and I also continued to post my resume in many industries, go on interviews, etc. I am thankful for the time I was working with temp agencies, etc. This month, I started working as seasonal help at a local department store, to bring in a little money to help with our finances. Sadly, Cliff was told earlier this month; that his employer of thirteen years was unable to keep him, due to him not being able to do the hard labor that was expected of him there and not having enough office work to keep him busy. If they had consulting landscape design work; he would have been able to stay on with them. Unfortunately the business is mostly landscape maintenance. So Cliff is now put in a situation to search for employment as well. I am telling you all this so you could help us pray and maybe you can pass the word of this fundraising website to others too. Your employer may match your contribution, so please check if that is an option. My prayer is that I find a position that will cover health benefits for both of us. I know Cliff will eventually be getting assistance, but I still have the cost for my health coverage. Thankfully, we found a coverage for the two of us and our monthly cost will be $996.46 a month; not including our co-pays among other living expenses. Trust me we are not living beyond our means. We are being very thrifty with the money that we have. The funds that are coming in to this site are being put away for our future needs. Wishing you a blessed 2016 and praying for a donor for not only my husband but many others that are in need. Cliff had his appointment with the VAD study group at HUP in the Perelman Center in Philadelphia today. It was a long day for us both. During our visit, he was given a 6 minute stress test, after he had his VAD control device turned down. Which means, they lowered his controller RPMs from 2740 to 2000. He responded well. He did an awesome job with his walking too, the team was impressed with the outcome of the study so far and complimented him on being the first person in the study to do such a great job. The Dr. was thrilled with his weight loss, and other levels he had shown in his blood work, etc. He was also given clearance to take a full shower, which is very exciting. We have been doing a sponge bath for him since Sept. But to be able to shower, he must use a shower bag for his controller and batteries. This bag is something like a purse, with a waterproof covering; which has an internal bag that the VAD items go into to allow him to safely take a shower. We will also have to wrap his driveline area in saran wrap to prevent his dressing from getting wet. After he showers we must change his dressing, just in case it gets wet and to also prevent infection. We did this dressing routine once a week since Sept and before the shower stage. Looks like we will be doing this more often, so Cliffy can shower daily like he likes to do. Changing his dressing entails a very sterile environment. We have to wear facemasks, I have to disinfect the area to prep for a sterile field. Open up 7 gauze pads, 2 tracheostomy pads. I am to place each of these items on the sterile field in piles that consist of 2 soap, 2 rinse, 2 dry. The tracheostomy pads and the last unused gauze pad go on top of the entrance of the driveline in his stomach area. After these items are open, I now have to remove the old dressing, remove my purple gloves, rewash my hands and apply sterile surgical gloves. Wow that is a lot of work, but we got this! Funny, how hard it was to get those sterile gloves on in early Oct, now I can do it with ease, practice makes perfect. Thank you for your contributions and prayers. We will do out best to keep you updated on this website, we will be transitioning off the CaringBridge site soon. WOW! Thank you for your donations and for being a blessing to us. We wish we could view who has contributed, so we could thank you personally. We are doing well and God has blessed us with so many loving and encouraging friends and family. We had Cliff’s follow-up with his surgeon and he was pleased with his progress. Cliff has been cleared to drive as of 11/30/15. He took the wheel and drove us home safely. God is good. Please continue to pray for Cliff’s health and for my job search. Thinking of you Kim and Cliff! I made the 1st donation to help start this campaign. Thank you HELPHOPELIVE, for helping us help others do fundraisers for my husband's medical expenses.